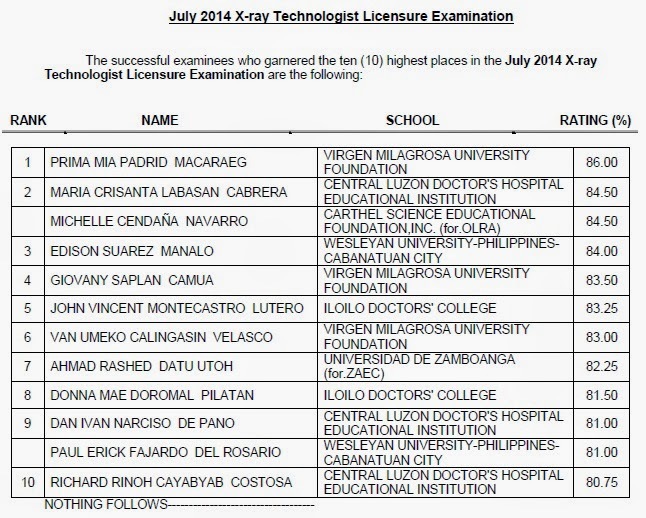 The Professional Regulation Commission (PRC) announced on Tuesday, July 8, 2014 the list of passers for July 2014 Radiologic Technologist (RadTech) and X-ray Technologist board exam. 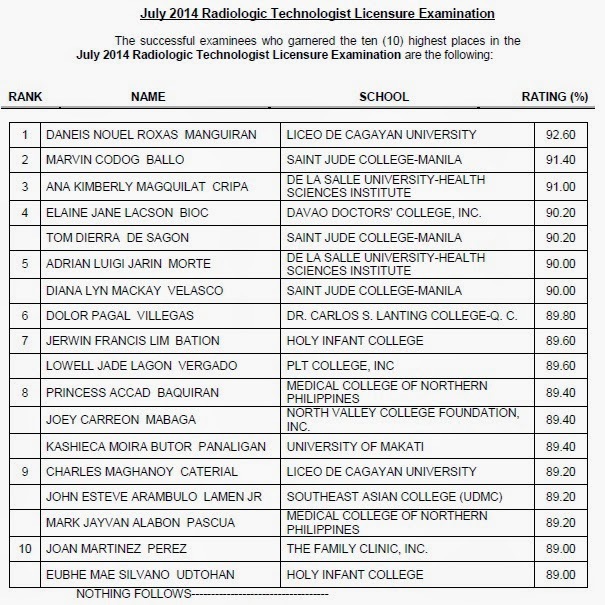 Daneis Nouel Roxas Manguiran of Liceo de Cagayan University topped the Radtech board with 92.60 percent. Meanwhile, Prima Mia Padrid Macaraeg of Virgen Milagrosa University Foundation got the highest place in the X-ray Tech licensure exam with 86.00 percent grade.